1. In a large pot, boil all the carrots until softened. About 10-15 mins. 2. In a small skillet, cook the onions until transparent. 3. Using a blender, add cooked carrots and onions and add enough water to blend. 4. 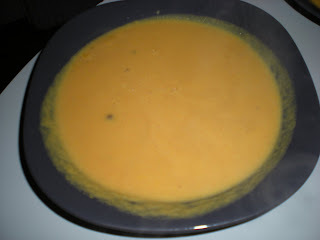 Transfer the blended ingredients to a soup pot, add milk and seasonings. Boil soup over medium-high heat.